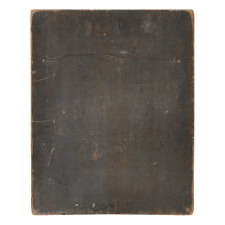 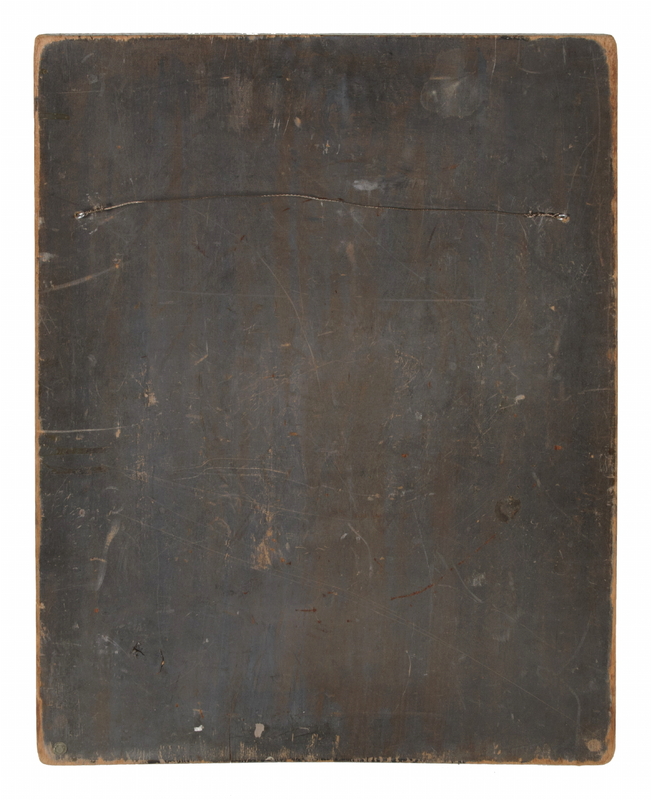 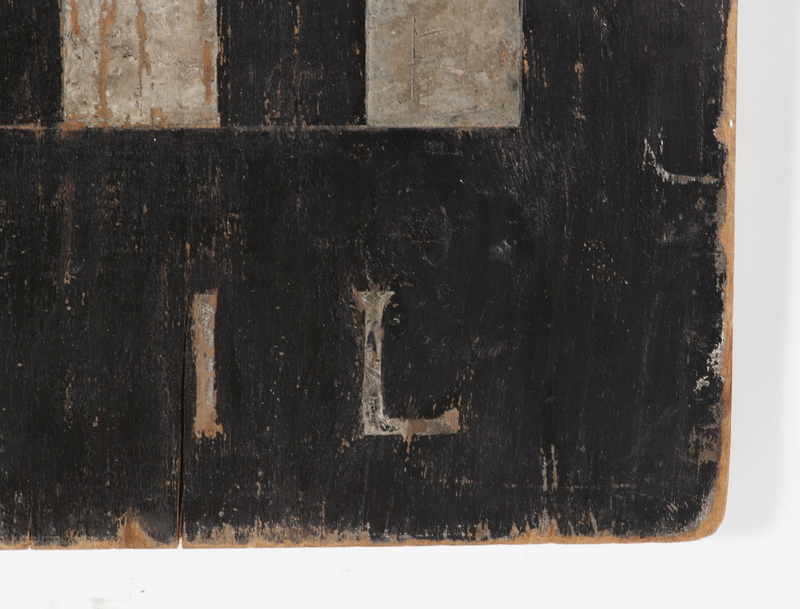 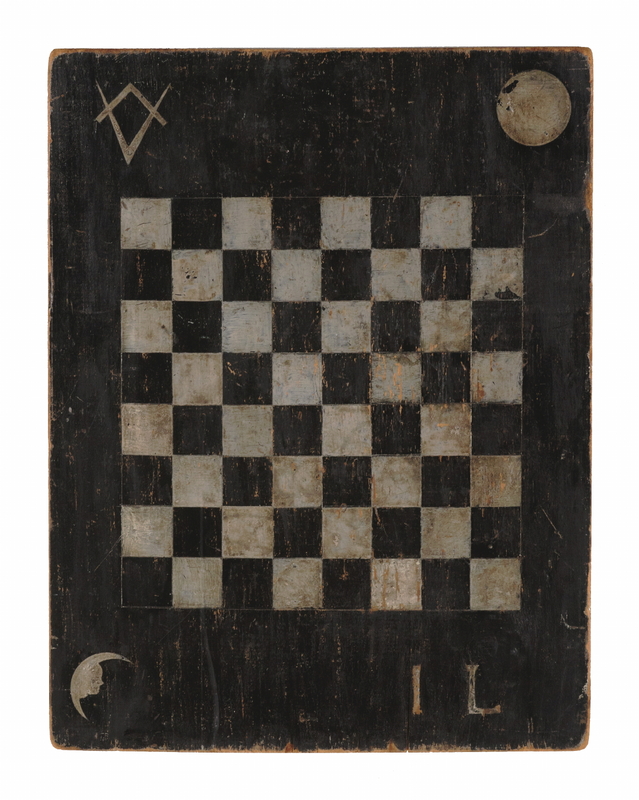 Dating to the second quarter of the 19th century, this painted American game board is made from a single plank of poplar measuring just over 21" wide. 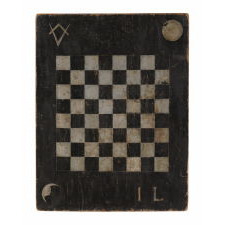 In addition to its white checkers on a black ground, it is adorned in three of the four corners with a Masonic square and compass and two moons, one full and one crescent that features a man-in-the-moon face. 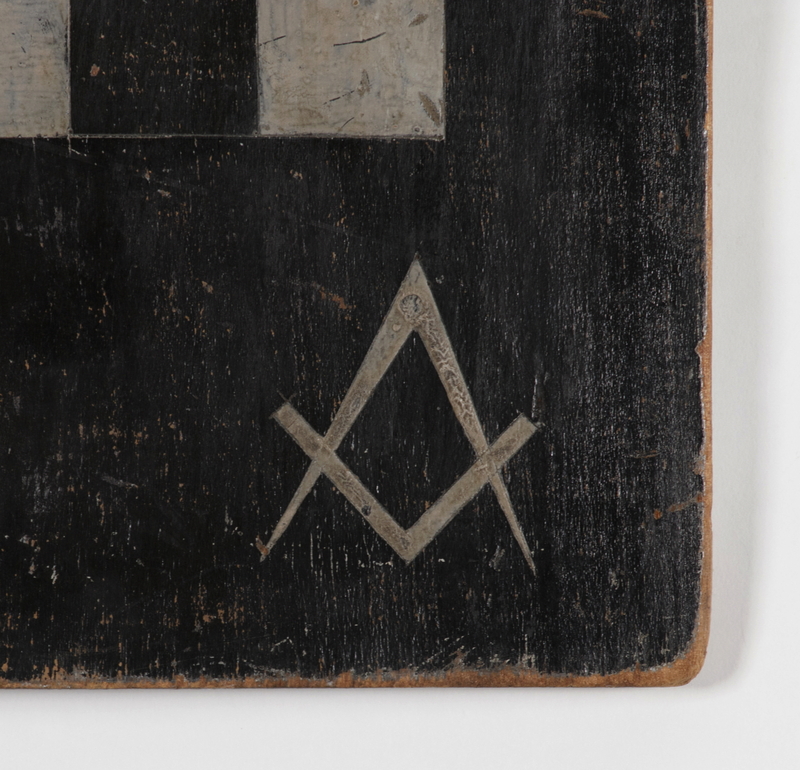 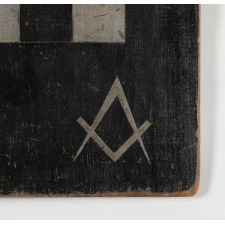 In the last corner are the initials "IL," which almost certainly designates the lodge where the board resided. 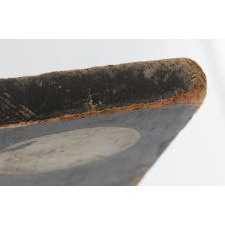 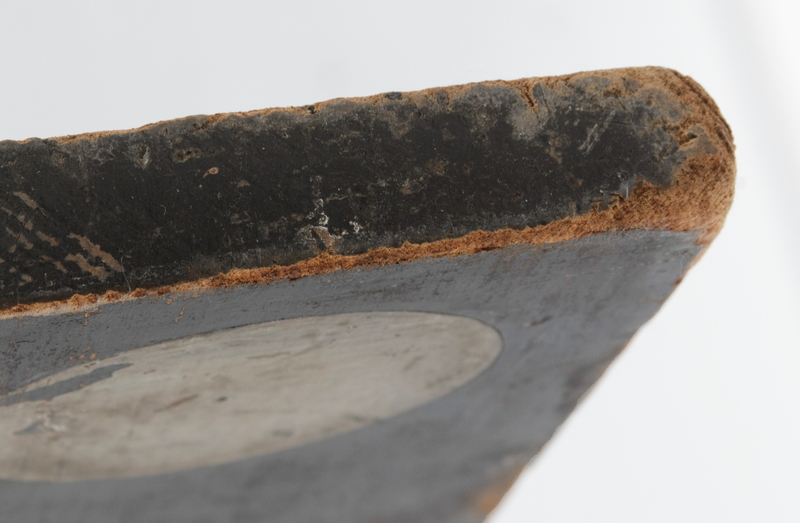 No doubt many games were played on this large scale example, which retains excellent, original surface. 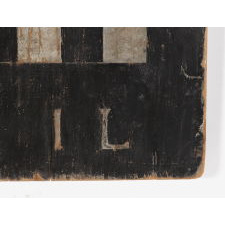 Condition: Expected wear and patina, consistent with age and use.